Tom Collins is one of the most comfortable and nice pubs in Yerevan, where you can enjoy good music and tasty food. Polite bartender will set you in a good mood with his unique cocktails. Vahan Chino Sargsyan is enjoying every minute of his work. He like to communicate with people and listen to them. 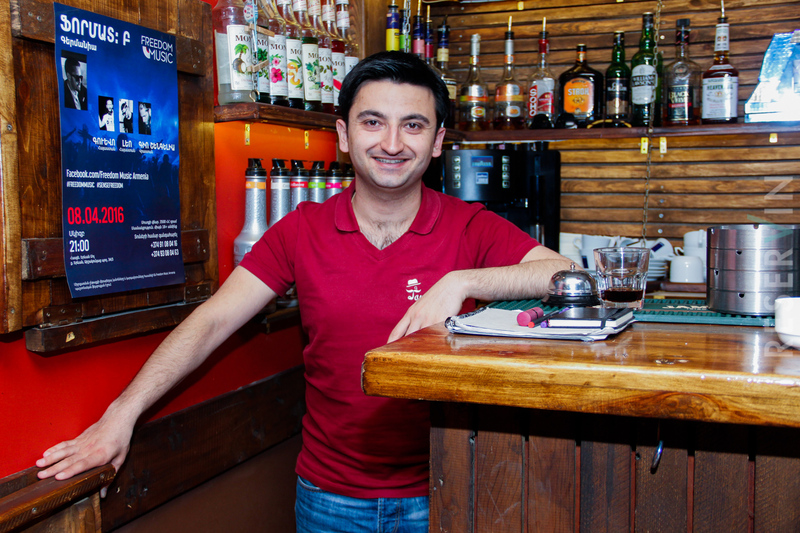 Vahan knows, that everyone trusts a good bartender. He is sure that being a bartender is not only a profession, but a lifestyle and art. 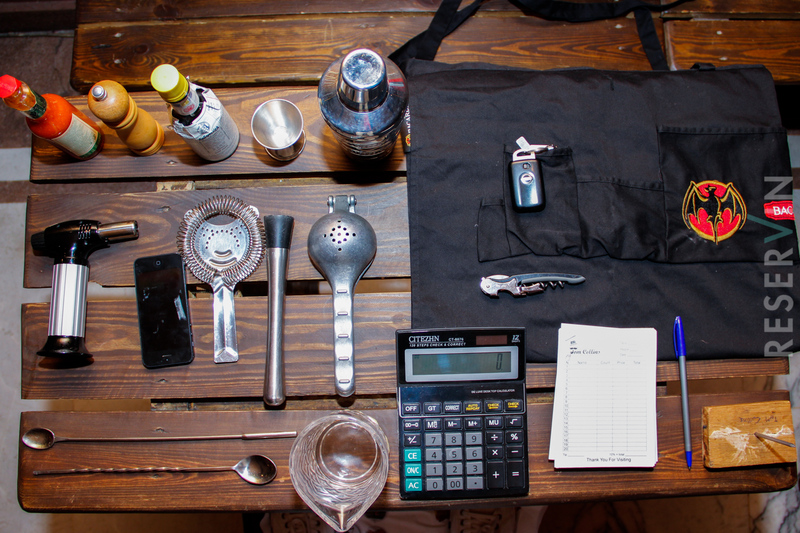 Do you think being a psychologist is important in bartending? Absolutely, it's one of the most important things, as you communicate with different people, who face various issues in their lives. First of all you have to give them good vibes, than only a drink. Can you imagine how many people tell us their problems? I won't be suprised if I will need a psychologist some day. Can you recall an interesting story customer told you? I do remember, but it won't be professional to tell you about it. But funny things happen all day, we joke around, laugh but of course, never cross the line. You mentioned, that bartending is also an art. Are you being creative? My spare time, I spend by creating new cocktail. When people come to Tom Collins, they usually want to try new drinks. They ask me to make something new for them. Often they want me to make the same things, but I remind them that it was just an improvisation. I don't collect recipe, I just make the drink for the moment. And what is the secret of you tasty drinks? The most important thing is the mood. The essence of the drink is water, and water takes the energy, so you have to give the good vibes. Experience gives you chance to know what people want. You see that, you make the drink and everyone is happy. I also give recipes to other people, knowing that it will never be the same as the one I make, cause the energies differ. Drink that a good bartender makes, cannot be a bad one.